I’ve talked for a while about investing in a new Jetboil and sleeping mat. I did buy a second-hand Jetboil a few years ago but it had developed a tendency to make strange noises when lit and being already nervous of gas stoves, I’d long stopped using it. I have also been through many sleep mats in my quest to get a decent nights kip outdoors without the help of Mr Jack Daniels so with any luck the Exped will solve that. The new gear is all just through the door so this is a quick preview, I’m off to the Mournes on Friday night and I’ll do a full test then. 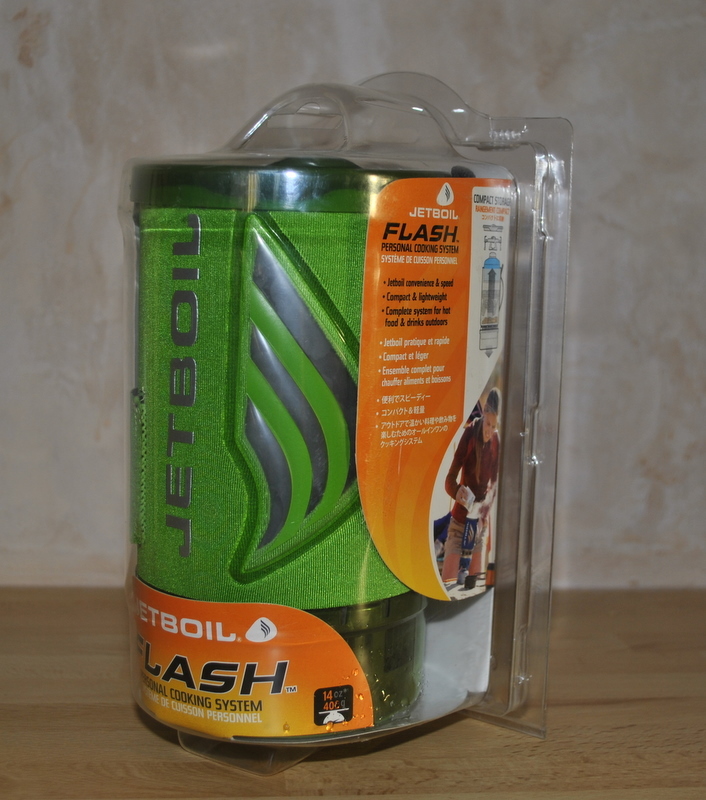 The Jetboil was first conceived in 2001 by Jetboil founders Dwight Aspinwall and Perry Dowst. Like many great ideas its premise is based in extreme simplicity – have a gas burner clip onto a tall, thin pot that has heat exchanging fins on the bottom and a lid that clips in place venting steam through a hole. This means that the whole stove (including gas can) is actually joined together and can be held if needs be. The heat exchanging fins protect the burner from the wind while spreading heat evenly making for an impressive boil time of roughly 2 minutes for 0.5L. The burner unit and gas cannister fit snugly into the pot for transport making a sealed unit. 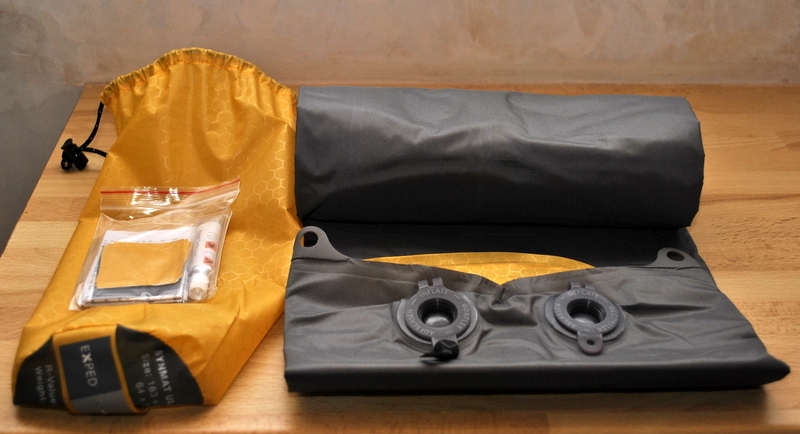 The pot has a neoprene sleeve with fabric handle to both insulate and enable the unit to be held when hot and has a small cup clipped onto its bottom. The downside is that if you want to do anything except boil water then things can get complicated. Jetboil supply a pot stand that allows a normal sized pot/pan to be used, however, the heat is so centralised that the pot/pan will be super hot in the middle and cool at the outside making general cooking difficult. Also, once you are using a pot without heat transfer fins you lose a lot of the wind protection and heat spread and therefore the impressive speed that the Jetboil boasts. 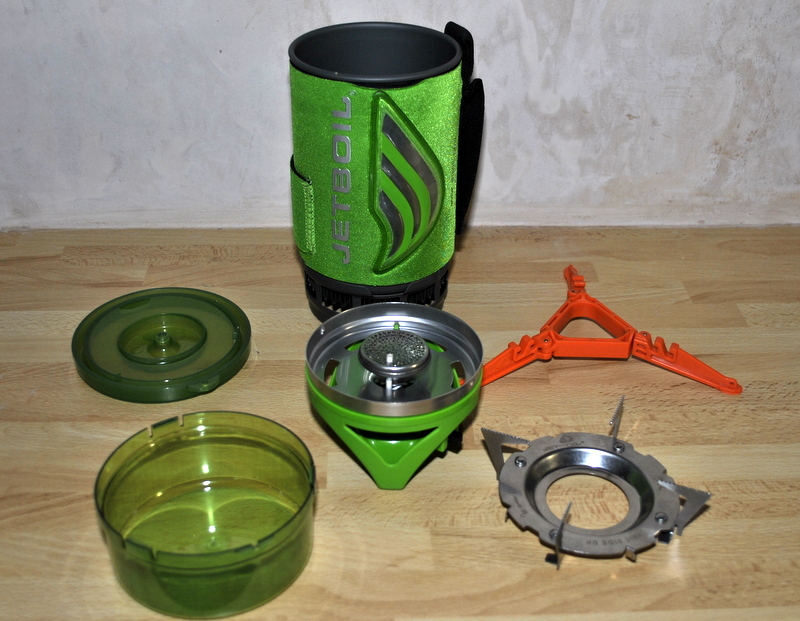 When I owned the original Jetboil PCS (personal cooking system) I had been very impressed with it for boiling water / heating MREs but its lack of proper cooking ability meant that it didn’t often leave the house. Around the time I discovered that it wasn’t working properly I was ironically just starting to use it again as I had been converted to the ultralight concept of dried food by Jon Patterson when he was preparing for the TGO. The system has had a few impressive upgrades, all of which address niggles I had with the original so it’s obvious that the chaps at JBHQ have listened to feedback. This has had a funky plastic panel added which fills with colour as the water heats giving a visual guide showing when your water has boiled. 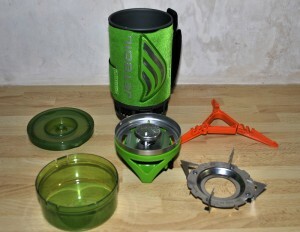 The original Jetboil had a plastic knob recessed beneath the pot to vary gas flow. It was pretty hard to get at and sometimes if you overfilled the pot and some water dribbled out then you would burn yourself trying to shut off the gas. The plastic knob has been replaced with a longer wire adjuster which folds away when not in use. The first PCS burner head was topped with wire mesh with some wire wool beneath. With mine the mesh came loose and wire wool kept dropping out when in transit. The burner has been completely redesigned as a solid unit meaning this problem can’t arise. The piezoelectric gas ignition used to sit quite high above the burner and could get knocked when stored, this has been moved slightly lessening the chance of any damage. The lid (and cup) are now clear plastic meaning peering into the pot is easier. The pot stand and feet for the gas canister used to be sold separately at a remarkably expensive £18. These are now bundled. 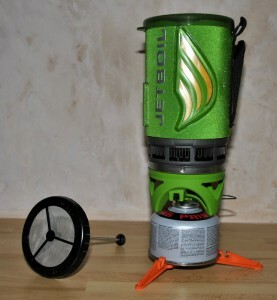 This is actually extremely important as without the feet the Jetboil is very top-heavy and unstable unless on good flat ground with little wind. I’m already a Jetboil convert and am happy with its cooking shortcomings. The Flash is much the same beast as the original PCS but with some excellent improvements so I’m expecting to be happy with it. Simple, fast, packs as a reasonably small sealed unit, works well in wind. Expensive with a rrp of around £80, not much cop if you want to fry a steak. Sleep mats – where to start! I’ve owned 6 to date and am suffering badly from being a skinflint and refusing to buy quality. I started with Vango and Gelert full length self inflating mats but at 1kg they were unsuitable for lightweight hiking and I didn’t find them terribly comfy as even at full inflation I could still feel the ground (despite only being 75kg or so). 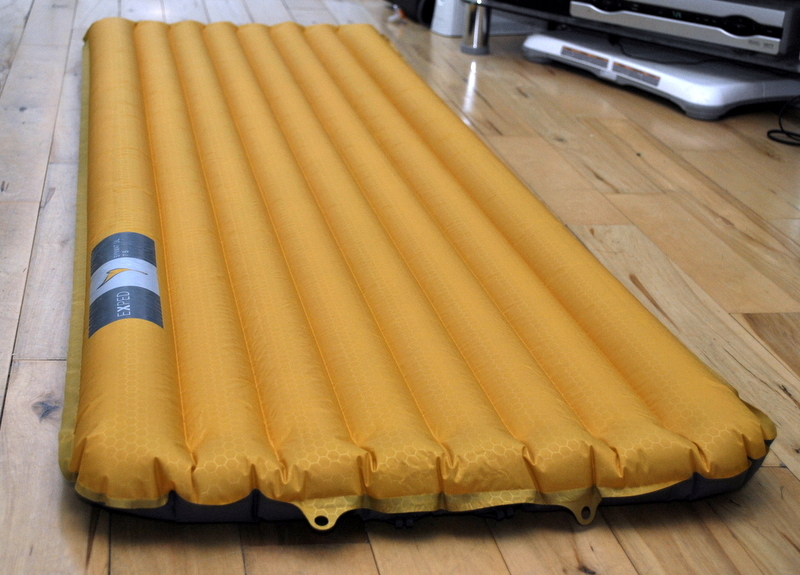 Then I moved onto Alpkit 3/4 length self inflating mats which were reasonably priced but the first kept deflating overnight and even after replacement I didn’t find them comfy as I could still feel the ground. Then in desperation I tried an extra thick foam mat from Multimat which also didn’t solve the problem. Now I’ve gone for a super thick but light self inflating mat which should keep me completely off the ground. Fingers crossed, I’m sick of buying mats and still not getting a decent nights sleep! 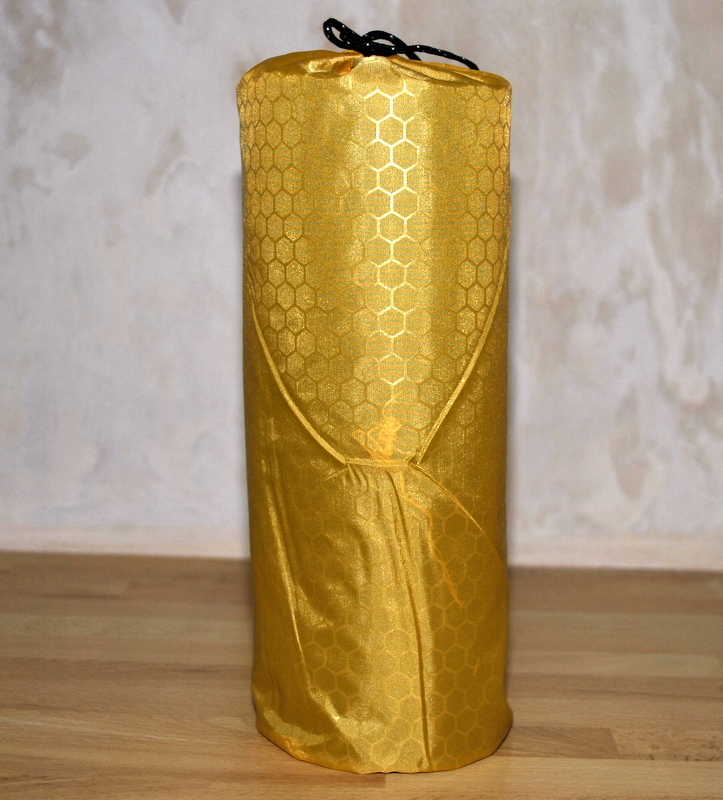 Exped Synmat 7 UL packaged, it is the size of a 1L water bottle. I was initially torn between the Thermarest Neoair, Pacific Outdoor Peak Elite AC and Exped Synmat 7 UL. The Neoair was very expensive and had very mixed reviews, the Peak Elite reviewed well but Pacific Outdoor are experiencing supply issues in Europe due to a faulty batch. The Synmat reviews well but is less popular, however, when I spotted the small version for £65 delivered I jumped at the chance. With an R value of 3.1 it’s supposedly warmer than both the neoair and Peak Elite and technically suitable for all season use (in Northern Ireland). I chose the short size and it is just slightly too small for me as my ankles hang off the end but I’m not expecting that to be an issue. The big selling point is it’s a whopping 7cm thick which is 3 times the thickness of my current Alpkit mat but that does come at a price which is that the fabric feels pretty thin – fingers crossed it sticks the pace. Lying on it in the living room I was well off the ground which I’m hoping is what will help me off to sleep. However as it’s essentially an airbed it feels strange and bouncy so only a night on the hill will give me any idea of whether it’s going to be my new best friend or expensive pool lilo! I’ll fill you all in next week on how all the gear performs. 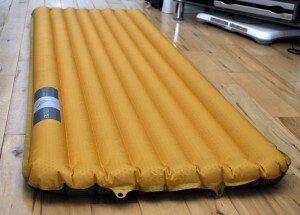 Really interested to hear how the Exped mat works out, looks like it’s well made and should be comfy! How do you inflate it? Does it come with some kind of pump or is it a lungful of air job? I like the eyelets in the top seam – always thought Thermarest should have that so you can peg /tie the thing down to avoid it sailing away! I’ve had a Synmat now for a few years and i’m a real fan. It’s well made and, so far, I’ve not had any punctures, dispite using it on survival courses and numerous Bushcraft trips. I’m really careful about where I put it and always go a ground sweep, regardless of how tired I may be. It inflates by an internal pump and takes about 5 minutes of pumping to infate. I find it warm and comfortable, though I do usually bring a German folding kipmat which I use below the mat as an added protection against punctures, as I’m usually camping in the woods. I went for the Extra large version as it’s my mat of choice for Winter camping and i don’t like my feet hanging off the end of the mat. This does make it too large to fit inside my Bivi bag though so I just but the bivi bag on top of it. I’ll still reah for the Synmat though now that the temperature is dropping.